When Bernie Sanders told CNN that terrorists serving a life sentence and rapists should have the right to vote, Jesse Watters said that it was essentially the equivalent of Willie Horton 2.0. For those who are too young to know who Willie Horton is and what role he played in presidential politics, check out the 1988 election between George H.W. Bush and Democratic Gov. Michael Dukakis. Hint: it didn’t end well for Democrats. 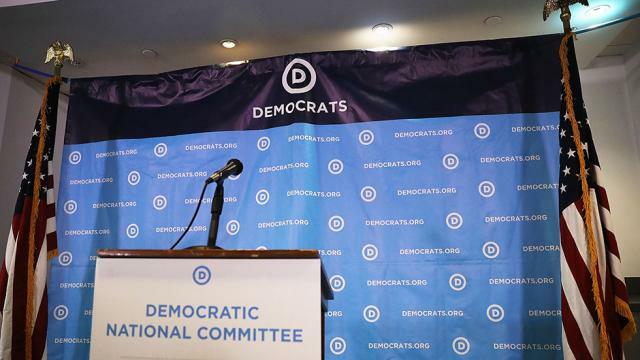 This pandering (don’t kid yourself; that’s what this was) isn’t helping Sanders win the Democratic nomination. When you’re a Democrat and you’ve lost Cher, you’re in a difficult position. That’s where Sanders finds himself. According to the article, “Cher took to Twitter Tuesday afternoon to sound off on Sanders’ position in a since-deleted tweet. The Hollywood icon defended her stance, telling one of her critics that any convicted child molesters, rapists, or murderers of any race should not ‘keep [their] right to vote. '” I wholeheartedly agree. Actually, low voter turnout in a election is often a positive thing. When turnout is high, it’s often because people are mad as hell at the politicians. Occasionally, turnout is high because one side or the other finds a charismatic candidate. That doesn’t happen that often. In 1994, Republicans turned out in huge numbers because they supported Newt’s Contract With America. In 2010, Republicans turned out in big numbers because Democrat politicians ignored them while shoving the ACA down our throats. The point is that turnout often drops when people are satisfied. When I led the Vote No movement against the first Tech High School bonding referendum, turnout was high. The school board didn’t notice that their referendum was in trouble until the returns started coming in. By then, it was too late. The referendum was doomed because I helped expose the school board’s agenda. Lost in all the shouting about Brenda Snipes’ ineptitude and corruption was the fact that Florida completed its gubernatorial recount on time. Lost in the shuffle is the fact that Ron DeSantis is the all-but-official Governor-Elect of Florida. He isn’t officially the Governor-Elect until Florida’s Secretary of State signs the document saying he’s Florida’s next governor. While we’re at this point in history, it’s time to inspect all the flaws in Florida’s election system. The most important thing that must be done is to rewrite the recount laws. For example, in the governor’s race, 8,000,000+ votes were cast. DeSantis’ margin of victory was .41% or 33,000+ votes. Let’s admit that there isn’t a snowball’s prayer in hell of overturning an election with a margin that big. Further, let’s admit that machine recounts are the most accurate recounts known to man. Finally, let’s admit that, while .41% sounds close, it isn’t when you’re talking about 8,000,000 votes. I’d even argue that .25% on a statewide race is beyond overturning. In the Florida Senate race, Bill Nelson trails by 12,603 votes or .18%. There isn’t a snowball’s prayer in hell that Nelson will close that gap in any meaningful way. The lesson is that Florida should rewrite their statewide recount laws to say automatic recounts aren’t triggered unless the margin is less than 1,500 votes. Even then, it’s doubtful that they’d overturn that election. While we can’t outlaw the term ‘count every vote’, it’s totally acceptable to highlight the fact that nobody opposes the counting of legally cast ballots. Highlight the fact that Democrats can’t provide proof that any vote anywhere hasn’t been counted. Question Democrats on the details. Ask them if any of the ballots in any county in Florida, whether they were absentee ballots, early ballots or ballots cast on ‘Election Day’ weren’t counted. Finally, Florida and other states should put in place strict rules for interpreting a voter’s intent on undercounts or overcounts. Trying to diving the voter’s intent is as trustworthy as picking winning lottery numbers. Congratulations to Gov-Elect DeSantis for keeping Florida in Republican control. John Feehery’s op-ed talks about 2018 in a way I hadn’t seen prior to tonight. Feehery opens his op-ed by saying “Money, message and ultimately the map, in equal measures. That’s what wins political campaigns.” I couldn’t agree more. Back in 2011, I wrote lots of articles about redistricting. The effects of redistricting didn’t highlight themselves in 2012 because that was a presidential election. In 2014, they showed up when Republicans flipped the House. This year, redistricting is likely to kill the national Democrats’ wave. The GOP landslide of 2010 wasn’t just about winning 63 net seats in the US House. It went well beyond that. When I wrote this post, I wrote about watching the Journal Editorial Report. During the show, they said “Republicans gained 680 state legislative seats in last Tuesday’s elections. Finally, there is the map. Republicans have a distinct national advantage going into this election. As Mother Jones reported in March, “A new report from the Brennan Center for Justice calculates just how much of a landslide Democrats will need in order to win in districts that were drawn specifically to withstand Democratic waves and elect Republicans. The result, report co-author Michael Li says, should be a ‘reality check’ for Democrats.” To win the House, the Democrats would have to win the popular vote by 11 points, according to this left-leaning organization. Is that possible? Yes. Probably? No. Let me rephrase that in my own way. Is that possible? No. Is that possible? Not a snowball’s prayer in hell. to vote in state and local elections? In other words, Sen. Latz would prohibit a 20-year-old single mother from protecting herself or her family but Sen. Pappas thinks 16-year-olds are mature enough to make informed decisions and vote? That’s twisted logic on steroids. Actually, it isn’t difficult to figure out what the DFL is thinking. First, they want tons of uninformed voters flooding the system. It’s the only way they can win elections. Next, the DFL wants to control people’s lives. Raising the minimum age for buying a gun won’t solve any problems but it will give government more control of people’s lives. Controlling people is part of the DFL’s DNA. Somewhere, Adam Schiff is likely crying in his beer. The indictment itself specifically states that a company called “Internet Research Agency, LLC” was created in 2014, long before the presidential campaign started. Further, the indictment states that the Russians plan was a) sophisticated enough to fool American political activists that the activists thought they were dealing with other like-minded American activists. The Russians’ goal was to sow distrust. On one day, Nov. 12, 2016, the defendants organized a rally in New York to “show your support for President-elect Donald Trump” while at the same time organizing a “Trump is NOT my president rally” that also was held in New York. While this indictment doesn’t totally clear the Trump campaign, it’s definitely a defeat for the Democrats, especially Rep. Schiff. Schiff has invested tons of time in front of TV cameras insisting that he’d seen proof that Trump colluded with Russians. The defendants also allegedly used a “computer infrastructure, based partly in the United States, to hide the Russian origin of their activities and to avoid detection” by US authorities, the indictment said. It isn’t a stretch to think that this plot achieved its goal, which was to create distrust in our election. What’s sad is that the MSM is totally content with sowing additional distrust with their ‘reporting’. 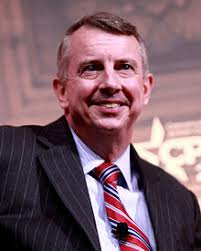 Is VA trending in Gillespie’s direction? This article is good news for GOP gubernatorial candidate Ed Gillespie, saying “The new poll of likely Virginia voters by Republican firm Optimus/Firehouse Strategies over Wednesday and Thursday shows Gillespie leading his Democratic opponent Ralph Northam by 40.4 percent to 37.4 percent.” The thing that’s most encouraging, though, is that the Latino Victory Fund ad enraged independents and fired up Republicans. As a result, turnout should be high for the GOP candidate. Meanwhile, Democratic gubernatorial candidate Ralph Northam is having difficulty turning out the Obama coalition. Those 2 things should help deliver a victory for a victory to Governor-Elect-in-Waiting Gillespie. Turnout for Northam might be hurt because he’s played into Republicans’ hands on sanctuary cities. The article says “Northam has also received criticism among party members and progressive voter groups for his break with party rhetoric on so-called sanctuary cities, which do not comply with federal immigration laws, saying he would sign legislation banning them ‘if that bill comes to my desk. '” First, that’s taking a defensive position, which isn’t good anytime but especially troubling the last week of a campaign. Following headliner Stephen K. Bannon, executive chairman of Breitbart News, populist-nationalist 2018 U.S. Senate candidate Corey Stewart addressed the Remembrance Project National Conference in Washington, DC, Saturday. The event, at the capital’s famous Willard Hotel, featured a “who’s who” of leaders in the fight against illegal immigration, including headliner Bannon, Judicial Watch President Tom Fitton, and Colorado gubernatorial candidate Tom Tancredo, in Remembrance Project’s largest annual event to honor Americans killed by illegal alien crime and the “angel families” they left behind. The winner of the big elections is the candidate that finds the issue that evokes the most visceral reaction. I think MS-13 is this year’s visceral issue. We’ll see Tuesday night whether I’m right.